This is more of an idea for refreshment on these scorching hot summer days. A way to re-energize your body as you are perhaps pushed to your limits, as the thermometer rises. I’ve used coconut water in my ice-blocks as I love the taste, but if you don’t have any, you could just use filtered water. You can also vary the fruits you put in, depending what you have on hand. Simply cut your fruit into small bite size pieces and distribute evenly into your iceblock moulds. 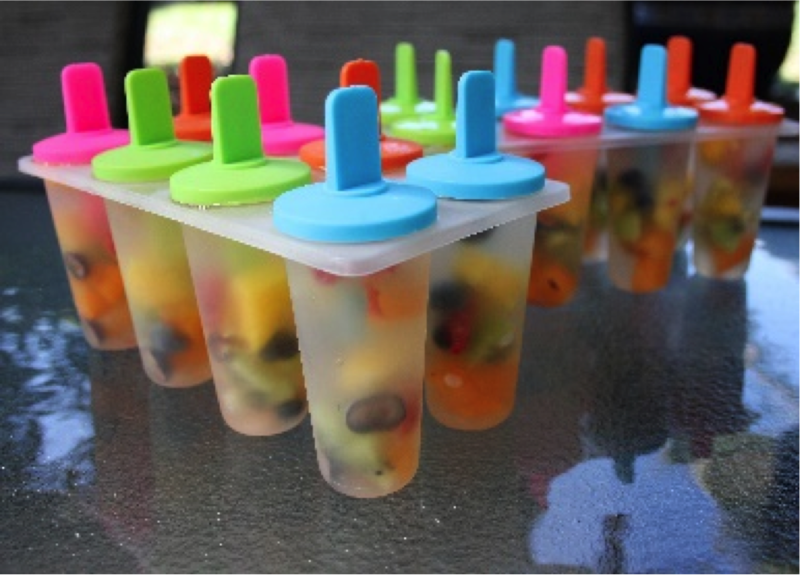 Make sure those bright, summery coloured fruits are even amongst each iceblock. No arguments from the kids about someone having more than the other this way. Top up with coconut water, place the sticks into the mould and pop in the freezer to set. Make them up in the morning and you have a perfect refreshing afternoon treat.